What makes this a golf watch? Aside from the golf ball textured face and the Tiger Woods logo on the back, notice how the big crown is on the left hand side of the watch. Flexing your wrist thus won’t leave you with a bruise on the back of your hand. 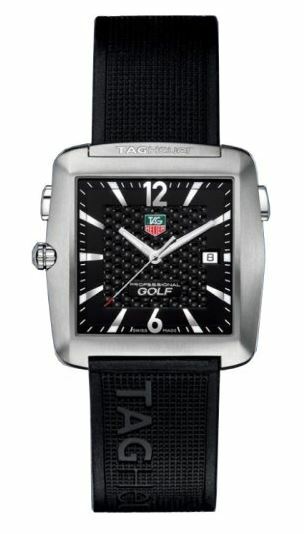 What does Tag Heuer mean? TAG is an acronym for Techniques d’Avant-Garde, suggesting revolutionary design and construction. Heuer is the last name of founder Edouard Heuer. The company was founded in Switzerland in 1860.